The Bonneville Fish Hatchery is a shared federal/state facility, which meant that it was actually open during the Federal Shutdown. 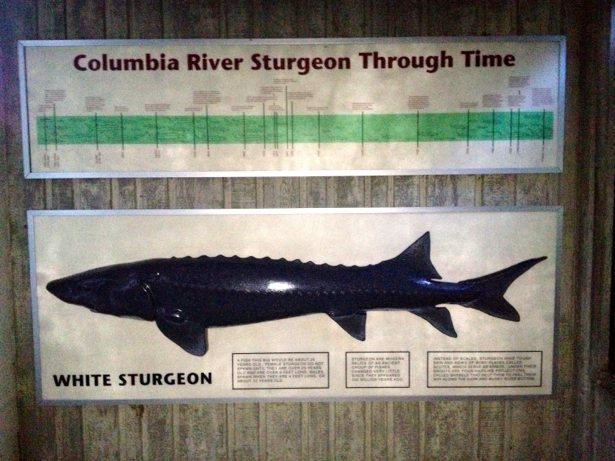 It was built in 1909 and raises Chinook, Coho & Steelhead Salmon. 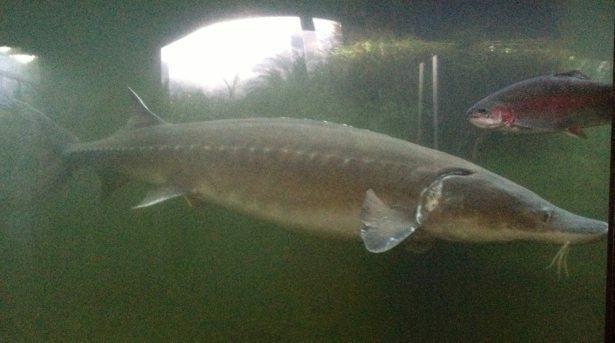 The most amazing thing about the Hatchery is their Sturgeon pond/ viewing centre. 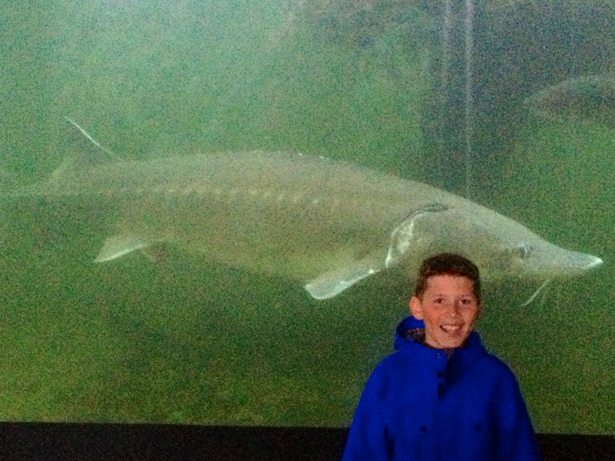 Hunter is standing in front of Herman the Sturgeon who is 10 feet long, 425 lbs and over 60 years old! 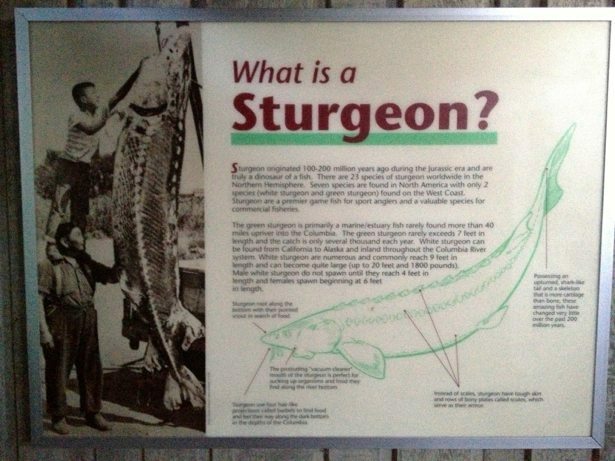 We were all in awe and probably stood and watched the sturgeon for 20 minutes. There were about 10 of them in the tank ranging from HUGE (10 ft) to BIG (8 ft) to little (2 ft) and they just swam around and around… It is amazing to think that these fish can live to over 100 years old. They have been close to extinction at times and now have very tight fishing guidelines to ensure their longevity is maintained. now that could be a big scary fish to catch or see in the wild.